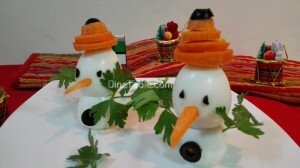 Snowman Salad made with boiled egg, carrots, black olive & parsley can be a very special recipe for new year / Christmas party. The cooking time is less & you require only few minutes for making the snowman. The main ingredient is Egg. Eggs are one of the few foods considered to be a complete protein, because they contain all 9 essential amino acids. Amino acids are considered as the “building blocks for the body” because they help form protein. Hence the snowman egg salad is a healthy excellent salad for the entire family. Due to the fascinating salad shape & presentation, I am sure that kids will definitely like the salad. 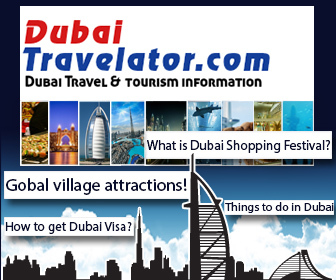 Try this simple recipe for the coming Christmas & New Year! Boil eggs with salt & remove the shell. With a toothpick connect two eggs one over other. Make eyes with black olives by piercing a toothpick between olive & egg. Make a hat shape with carrot slices. Fix the carrot on egg with the help of toothpick. Pierce some parsley on either side of egg to make the hands. Pierce some olives as snowman buttons. Now the salad is ready to serve! Enjoy the special Christmas & New year with special egg salad / snowman salad!